Transform your shower experience into a peaceful utopia with our Pulse Shower Spa systems. 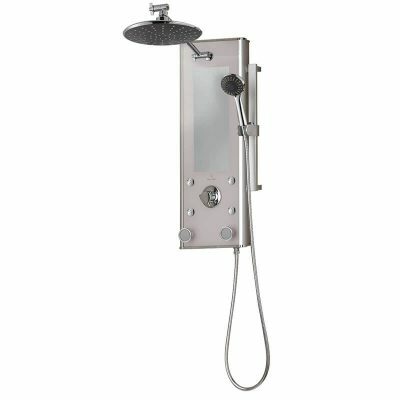 Easily convert virtually any shower into a complete shower system with 3 different functions at your fingertips; rain shower head, 2 adjustable body sprays or hand shower. What is the rain showerhead spray like? It is a very soothing effect, for a more concentrated spray most people switch to the handheld, a nice option to have. Can the jets be cleaned out if they clog? Most of the Showerspa jets have flexible rubber tips which help to eliminate mineral build-up. How do I clean my Showerspa? Use mild cleaners without any abrasives or harsh chemicals. To help keep the Showerspa clean, we recommend a coat of wax or a RainX® type of product be applied a 3-4 times a year and wipe off the Showerspa after each use. What is the warranty period for my PULSE Showerspa? Three year limited manufacturer’s warranty. How much does a Showerspa weigh? The Showerspas range in weight from 25 to 35lbs. Pulse Showerspa systems offer a wide variety of styles and color options to match any bathroom. 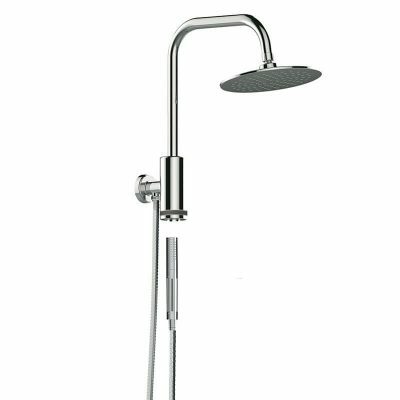 Our shower spa systems seamlessly blend and work with your current shower valve. 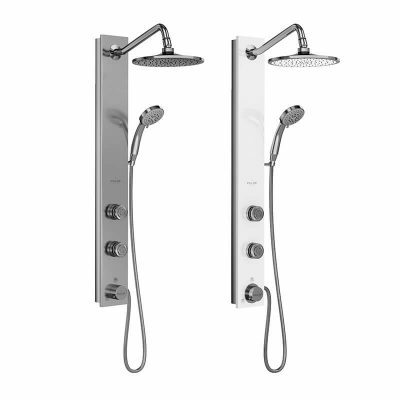 All of our shower spa systems come with a three year limited manufacturer’s warranty. Schedule your free consultation to see if a Pulse Showerspa system is right for you.